Keeping your lawn green and fresh is an indication of good property maintenance. But most of the time, you may not have enough manpower to watch over your yard. 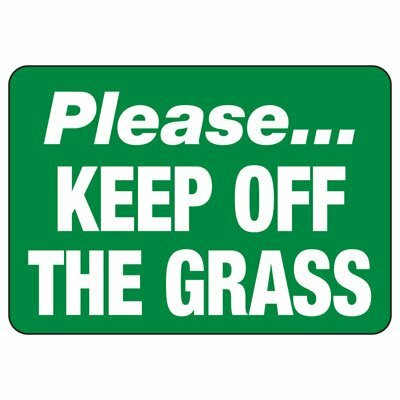 Use Seton’s Keep Off Grass Signs to keep vagrants, skaters, and other unwanted visitors away from your property even if you’re not on watch. Part of our large selection of property and parking signs, these signs are printed in large letter format that can be easily seen even from a distance. Ideal for outdoor use, these signs are guaranteed to withstand harsh conditions for up to 7 years. A properly maintained garden or lawn can visibly enhance the overall look of your property. A well-manicured lawn is a clear indication of how you protect your property and can draw in clients and visitors. 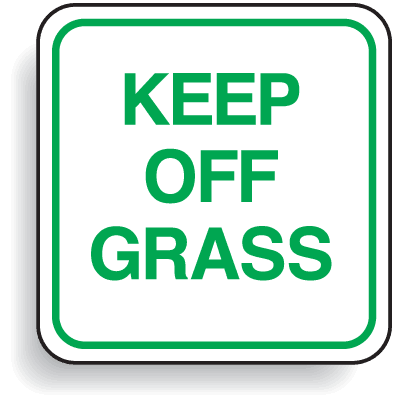 You can keep your lawn protected from any damaging activities by posting durable Keep Off Grass Signs. 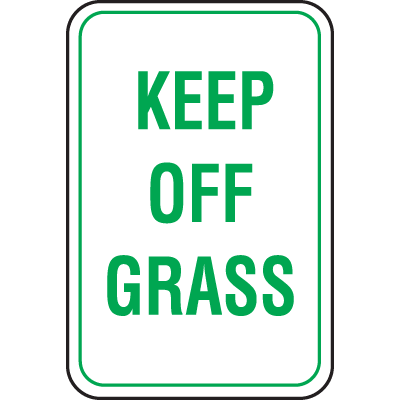 Aside from providing a clear reminder that your lawn is an off-limits area, these types of parking lot security signs are also aesthetically designed and eye-catching to complement your entire landscape. If you want to maximize the benefits from your signs, make sure that these are properly and securely installed. Our wide range of property and parking signs come with pre-drilled holes so you can easily mount these onto posts or fences. You can also check out our vast selection of signs posts and accessories that will go well with your signs. These sign posts are available in a variety of style and sizes to fit any of your posting requirements.